Project Details: John Blumberg is a dream client. He’s comfortable with innovation and encourages it in all business marketing decisions. Support: Brand Strategy, Print, Videography, Photography, Copywriting. Ongoing Support: Brand Strategy & Innovation, Online Presence. What was John’s dream? After a dream career in Human Resources at one of the biggest professional services firms in the world, John wanted to inspire CEOs and other power players to harness their true potential to genuinely lead. A changing story: Over the last two decades, John’s message as a professional speaker has evolved. Today, John is completely focused on helping C-level leaders tap into their core values; John is a firm believer that the move is the most impactful strategy decision they’ll ever make. 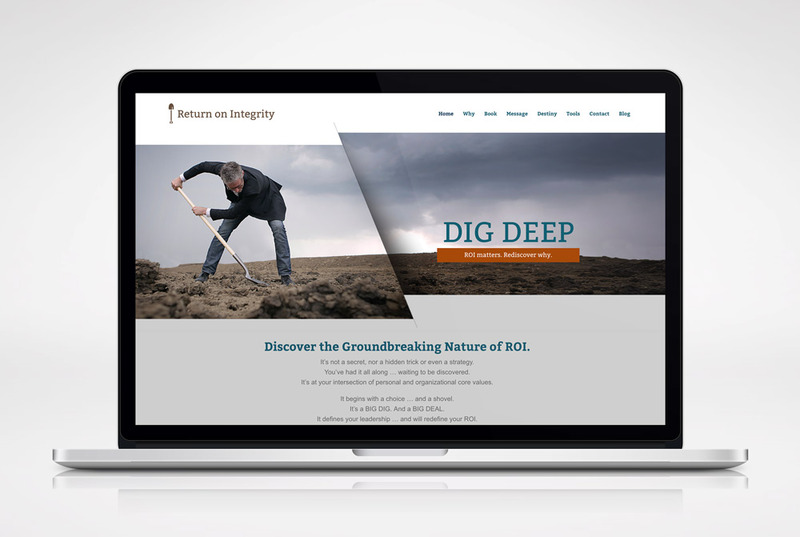 As his message changed, the Bureau Gravity team worked closely with John to revamp his brand. John now has a new set of tools– video messaging, presentations and a revamped website – to reach influential leaders everywhere. When he’s not giving keynote speeches across the country or working on his third book, John is creating defining moments for big-name clients that include KPMG, United Health Group and Fifth Third Bank. Some of the most productive meetings with John happen over a cup of coffee.